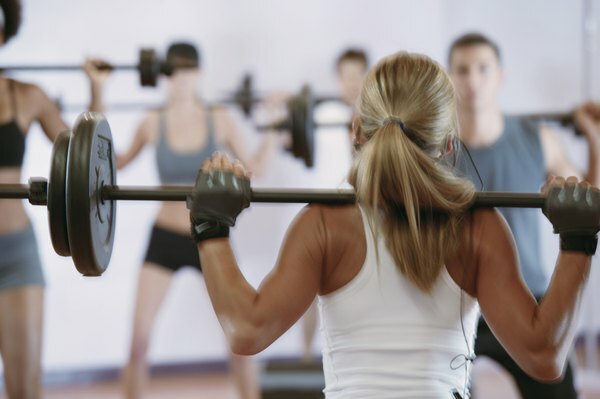 When it comes to burning fat, high-intensity resistance training can be a girl's best friend. Getting rid of unwanted body fat can be challenging for women, especially with so much conflicting information out there. Perhaps one of the most misunderstood strategies for weight loss is resistance training. 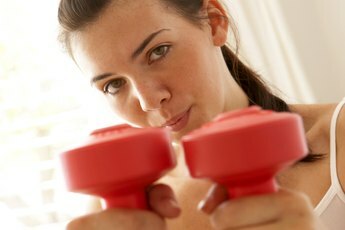 Fear of bulking up and misconstrued notions about exercise intensity often prompt women to shy away from weights. But high-intensity resistance training is one of the fastest and most effective ways to burn fat and sculpt an amazing physique. Your body uses a higher percentage of fat for fuel during low-intensity expercise than it does during high-intensity routines. But exercise scientist Len Kravitz, PhD, of the University of New Mexico explains that this information may be misleading. During high-intensity exercise, you burn significantly more calories overall, including more calories from fat. Furthermore, high-intensity exercise boosts your metabolism for hours after your workout, resulting in even more calories burned and more weight lost. A 2001 study of obese women published in "Obesity Research" used 21 subjects to participate in low-intensity exercise for 12 weeks. At the end of the study, none of the subjects had lost weight or reduced their body fat percentage. Myths abound with respect to women and heavy weight training. The idea that women cannot or should not get strong, the notion that lifting heavy weights will make you larger and heavier, and the theory that exercise that does not lead to weight loss is not worth the effort are just some of the myths that keep women out of the weight room. But according to Fahey, Insel and Roth, authors of "Fit and Well," tenth edition, weight training with challenging loads has many benefits for women, including reduced body fat, increased bone density, improved posture, greater strength and stamina, and toned shapely muscles. If you are a resistance-training novice, you may feel intimidated by free weights. Weight machines can take some of the guess work out of lifting, but they do not train your muscles in ways that are functional for everyday activities. 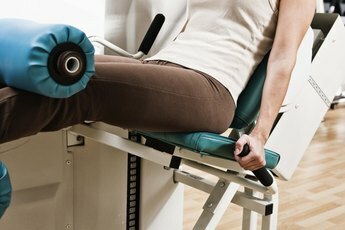 Although machines can be adjusted, the American Council on Exercise, or ACE, notes that most machines are geared to the average-sized person. If you are taller or shorter than average, some machines may be difficult to use. Training with free weights is a better option for women because they enable you to move through your natural full range of motion. In contrast to machines, free weights incorporate your stabilizer muscles to balance and control the weight, and may produce greater gains in overall muscular strength and power, according to ACE. More muscle means more energy burned, both during and after your workout. To determine the intensity that best fits your needs, begin with a weight you can lift at least eight times, but not more than 12. Your last two or three repetitions should be very challenging. Move through your full range of motion in a slow and controlled manner, avoiding momentum. Do not let gravity take over as your muscles lengthen. Contract your abdominal muscles to protect your spine. The American College of Sports Medicine recommends you perform two to four sets of each exercise for each of your major muscle groups. 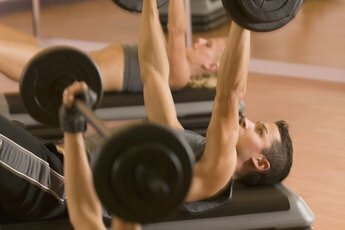 When you can easily do 12 repetitions of an exercise, increase your weight load by five to 10 percent.